Jonathan Sacerdoti is a political and cultural commentator, terrorism analyst, news reporter and anti-racism campaigner. 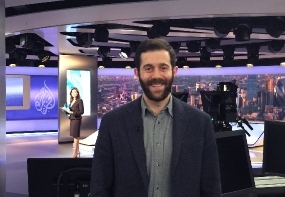 An experienced live reporter covering breaking news stories, he has covered the Brexit referendum, British general elections, the Finsbury Park Mosque attack, the Grenfell Tower fire, the London Bridge and Westminster Bridge terrorist attacks and the Manchester Arena suicide bombing; in Europe he has covered the March 2016 Brussels bombings and the November 2015 Paris terror attacks; in the Middle East, he covered the visit of Prince William to Israel, Jordan and the West Bank in June 2018 and the July 2016 terrorist shooting at Sarona Market in Tel Aviv. His reports and analysis have been broadcast internationally on Fox News (USA), i24news (Israel), NDTV (India) and CGTN (China). he has been published by the Daily Telegraph, The Times, HaAretz, and New Statesman among others. He is frequently booked as a commentator, expert analyst and as a reporter on a variety of international TV and Radio channels, including BBC News, ITV1 (UK), ITN, Al Jazeera, CBC News, Sky News, Fox, CCTV-America, Voice of Russia, i24news, France 24, Radio Dubai Eye and LBC Radio. Jonathan is a well known campaigner against sntisemitism. 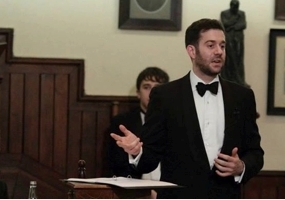 As a founding trustee of the charity Campaign Against Antisemitsm and its Director of Communications for its first two years, he is a passionate campaigner and advisor to political and religious leaders and media professionals dealing with antisemitism. He no longer works with the organisation. He also started the website everydayantisemitism.com to document rising antisemitism internationally. A former Director of the Institute for Middle Eastern Democracy, Jonathan is particularly in demand as a commentator on the Middle East. On Sky News he has provided live analysis and commentary during the funeral of the Saudi King and the Israeli General Elections. He is a trustee of the UK branch of the Simon Wiesenthal Centre, a global human rights organisation researching the Holocaust and hate in a historic and contemporary context. He is also a versatile commentator on wider cultural and political topics. He has discussed opera productions and Internet memes on Channel 4 News, the evolution of Saturday night television formats on BBC Radio 4's Today programme, and previewed the newspapers on Sky News. As the UK and Europe Correspondent on the international TV station i24news, Jonathan reports regularly on British and European politics, as well as Jewish cultural stories. 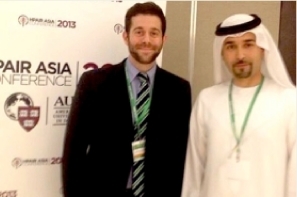 Jonathan has lectured as part of the Masters course in Communications at the IDC Herzliya, and has spoken both as a keynote speaker and as a panellist at international conferences organised by Harvard University, National Chengchi University in Taiwan, the American University in Dubai and Keio University in Tokyo. He has covered topics ranging from the Middle East and Chinese foreign policy, to the power of technology in popular protest. He has has debated at the Oxford and Cambridge Unions. For bookings, please email him.